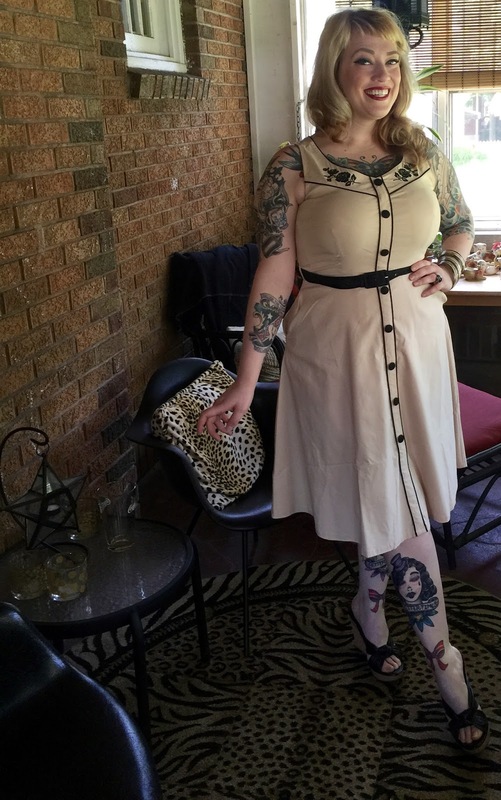 Chronicles of a Sweet Tooth: Voodoo Vixen Review with the Majorie Dress with Discount Code! Voodoo Vixen Review with the Majorie Dress with Discount Code! 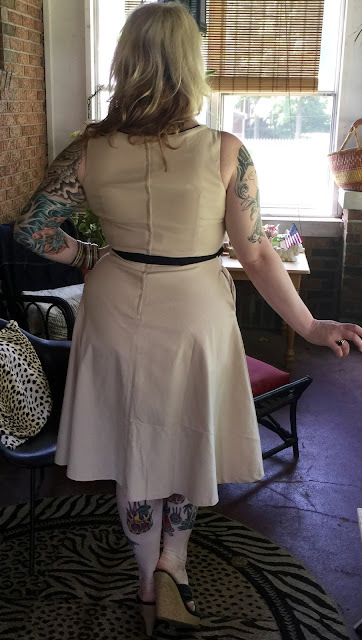 The Majorie Dress is a super cute western style dress, and from the moment I saw it, I knew I needed it! It is light tan color with black embroidery detail and black buttons. The fabric is very light weight and super stretchy. The dress does run true to size, but you may be able to size down if you have a small to average bust. I say this because my bust to waist ratio is not average, and if I were a smaller bust measurement, I would have sized down to a medium. This dress comes in a swing style, and I think I would love to see it in pencil form as well. One change I would make to this dress is the belt. They belt that it comes with is cute and just a plain black fabric belt. It is very flimsy and I like a belt with a little more structure. 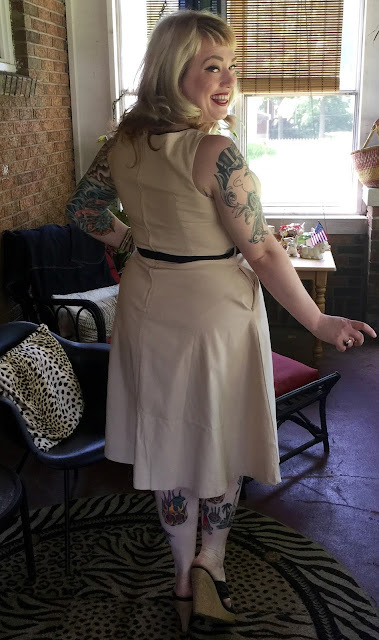 One of my favorite parts of the dress is that it does come with pockets! Who doesn't love a dress with pockets? 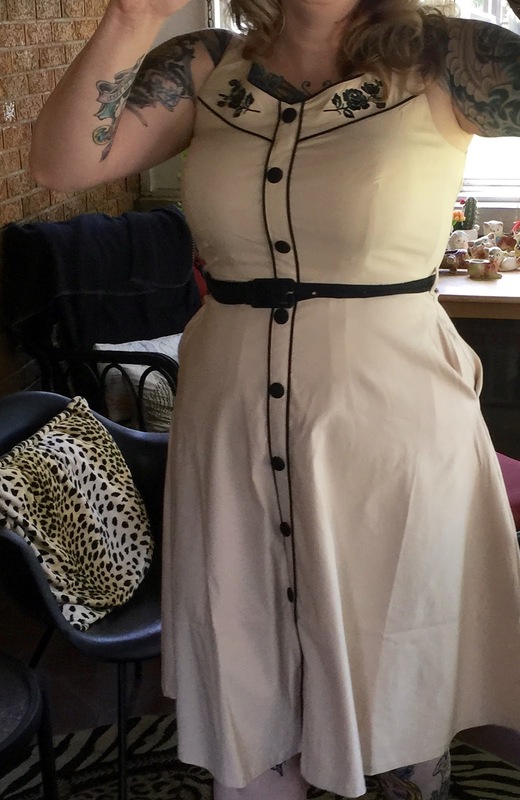 I paired this dress with simple black wedge slides, but would love to style it with black cowboy boots and a denim jacket, as the temperature starts to drop as we inch towards an autumn climate. 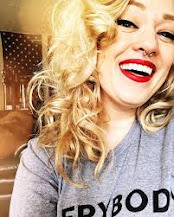 Voodoo Vixen is having a big summer sale right now, so it is a perfect time to stop by their website and pick up something pretty for the summer! To get an exclusive discount use the code Katty20 at checkout to get 20% off your purchase! Thank you so much! It is super soft and an all around very comfortable dress!